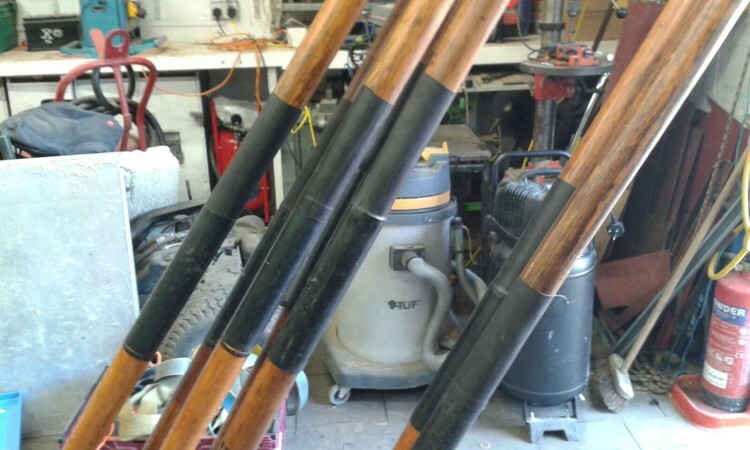 Our oars take a lot of punishment as they help young people develop skills and challenge themselves. From regular meetings to providing the boats for the National Sea Scout Regatta to the epic 21 mile Great River Race, our rowing boats are at the very heart of much that we do. But all of this takes a toll on the oars, which at lengths up to 14 foot, and often made of spruce, are really solid bits of kit!! Pulling along a 20' rowing boat on these takes its toll, and the loom (long bit) of the oar needs protection to take some of that force. These collars need replacing and we are really grateful to https://www.pmgcompanyonline.com/ who proivided us with a generous donation of tubing this year to allow our volunteers to refurbish the oars. A massive thank you to them for their support.